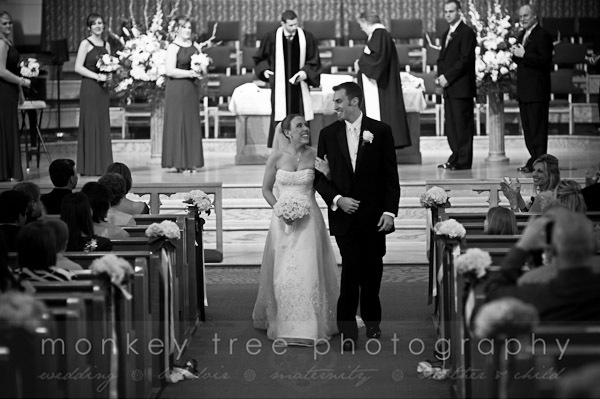 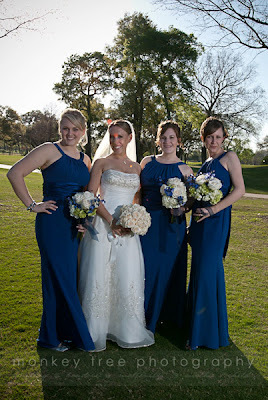 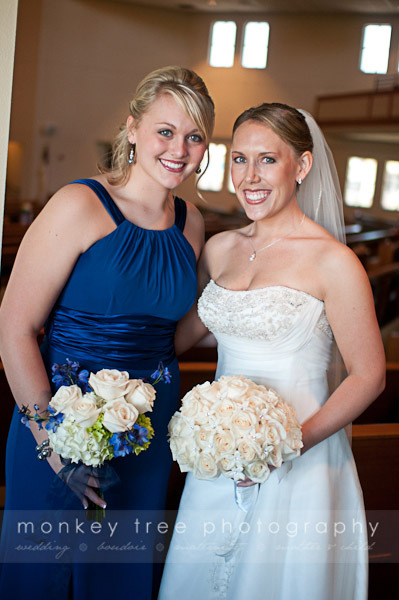 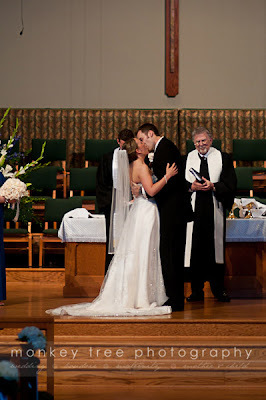 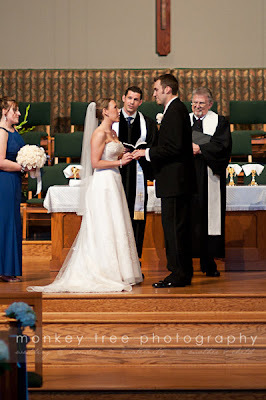 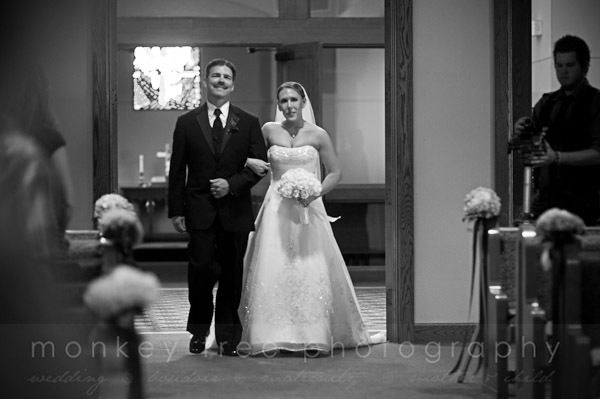 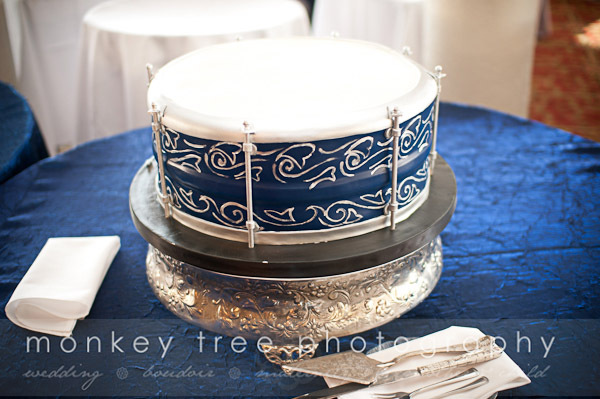 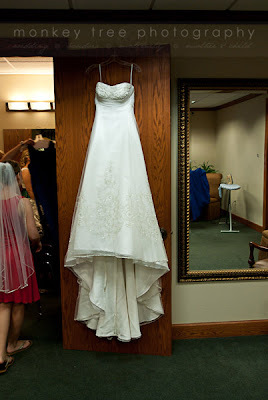 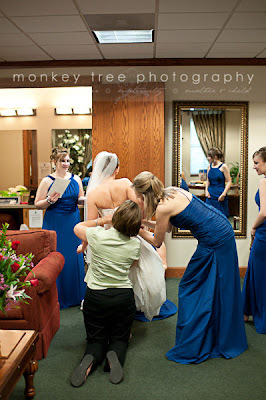 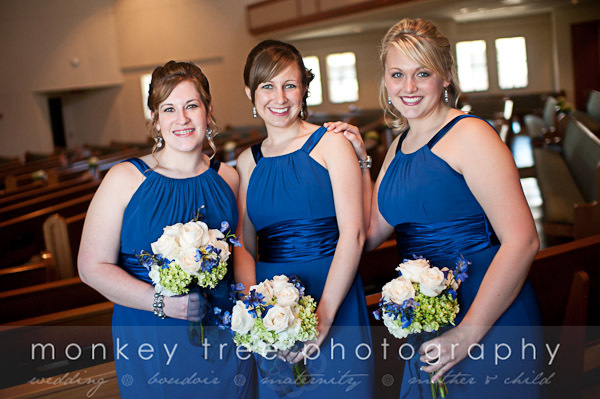 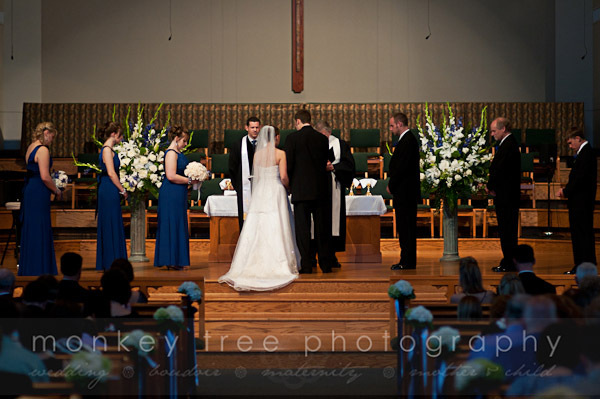 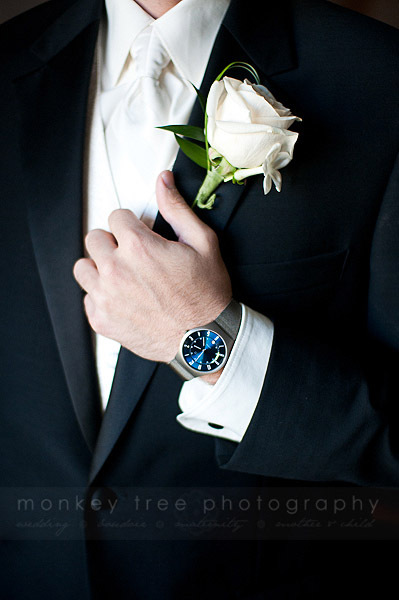 Amy & Garrett were married in a beautiful Christian ceremony at Holy Covenant United Methodist Church, with bridesmaids in deep royal blue satin gowns and crisp romantic white florals. 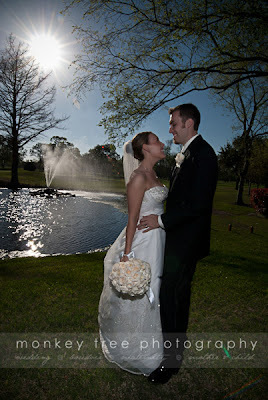 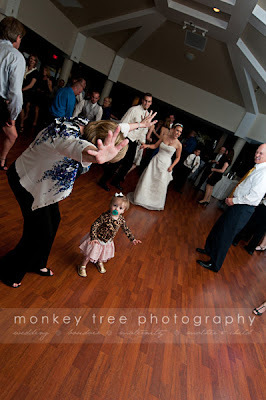 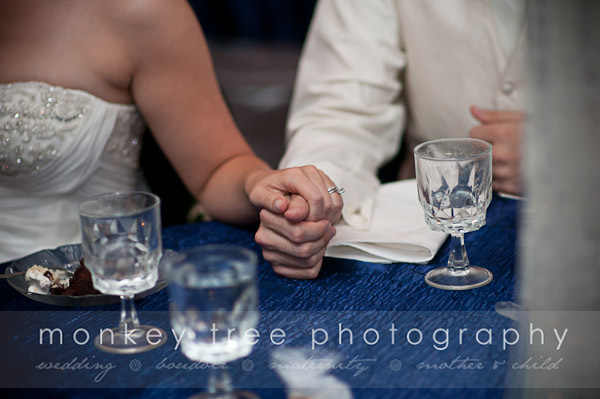 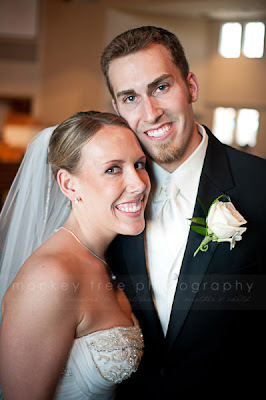 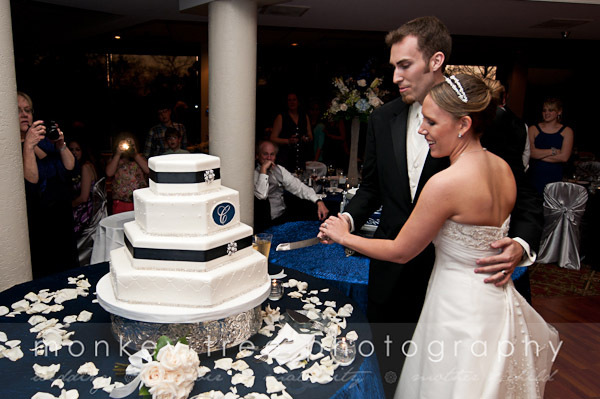 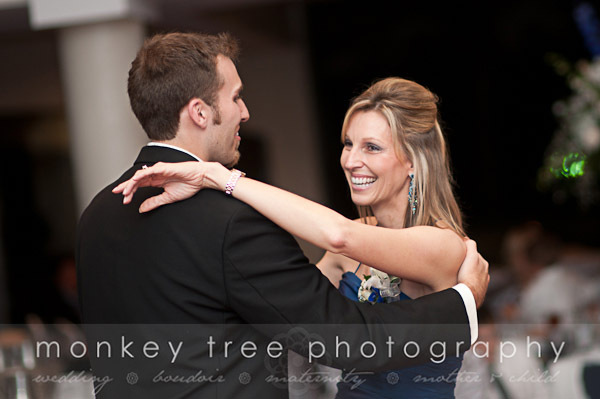 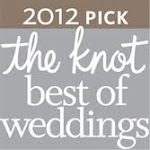 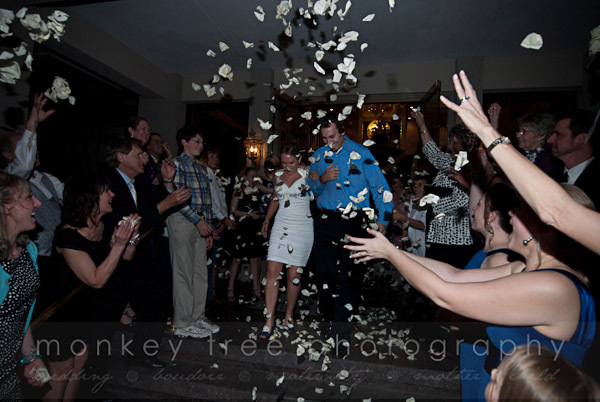 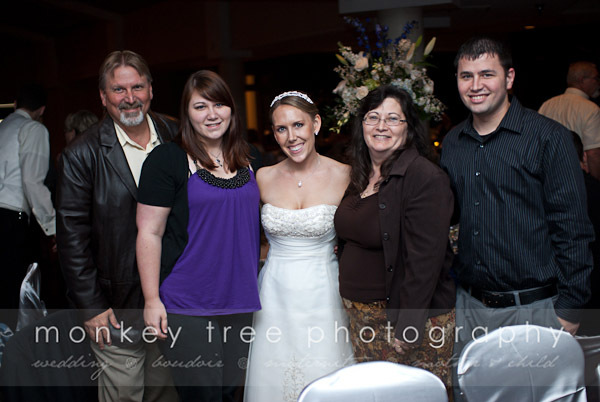 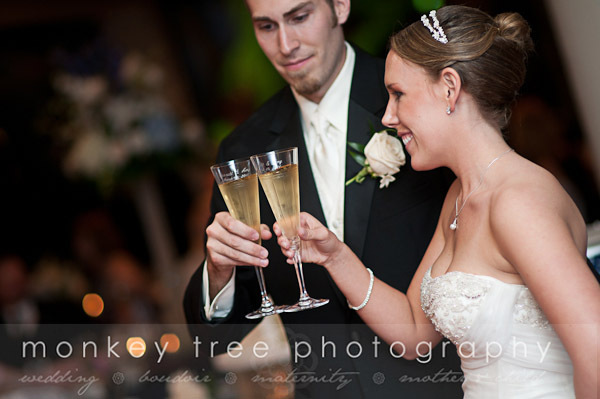 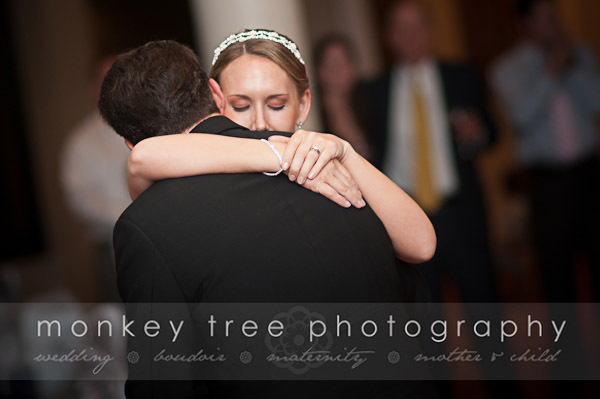 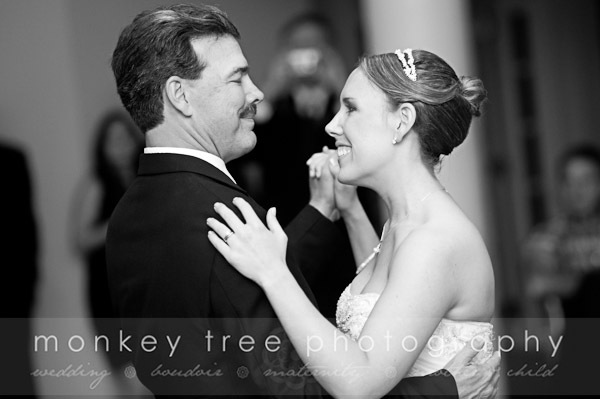 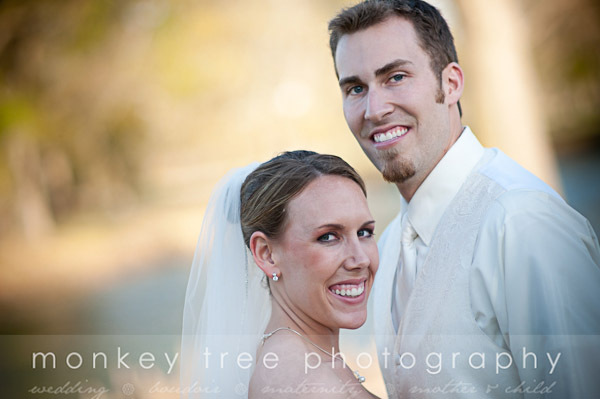 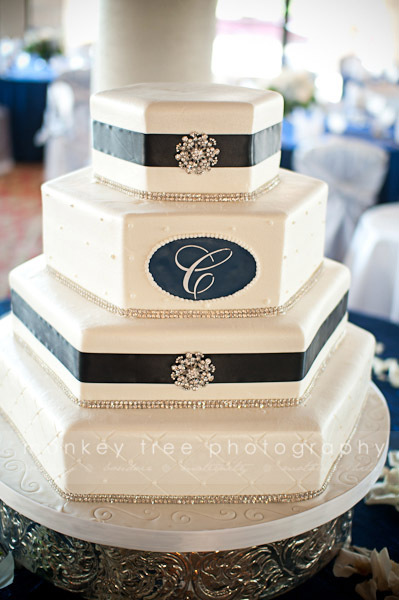 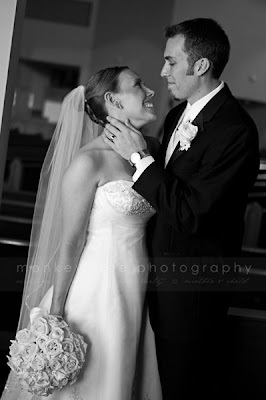 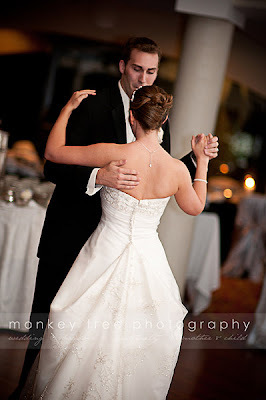 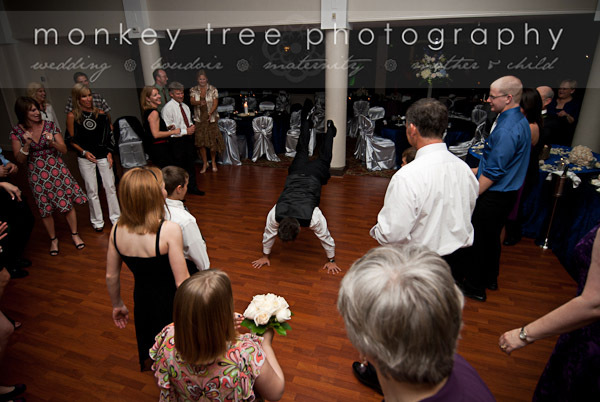 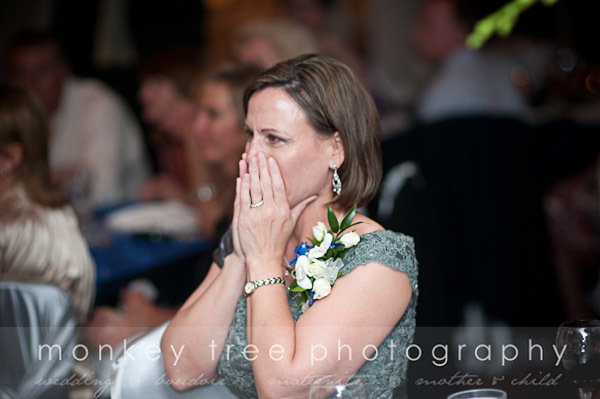 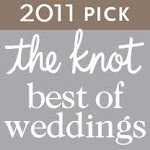 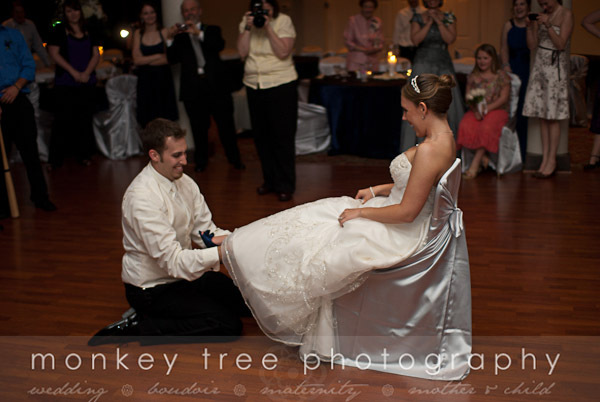 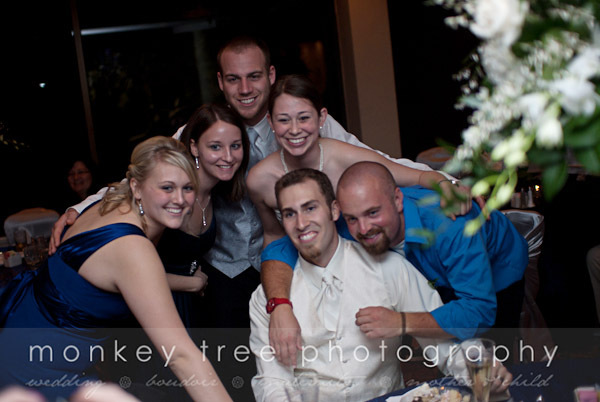 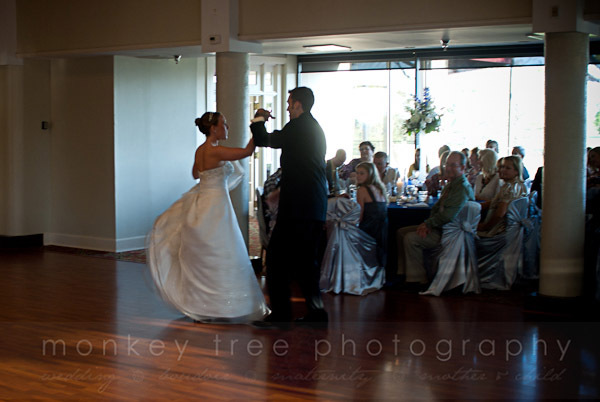 This sweet, happy couple celebrated with a night of dancing and friends at Pine Forest Country Club. 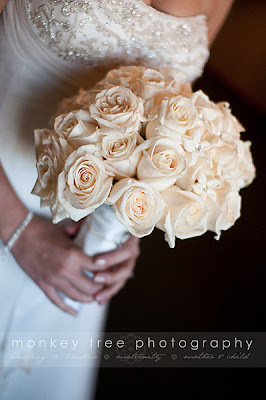 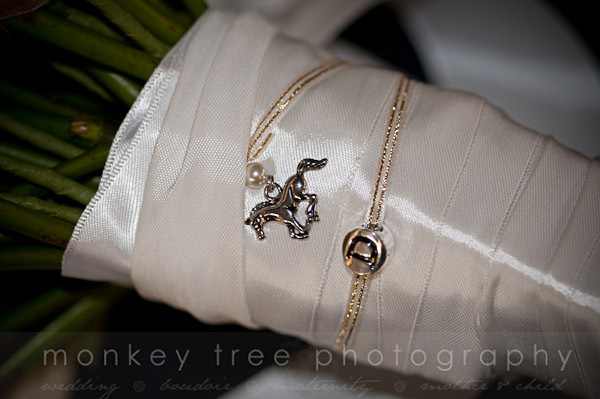 In a sweet act of remembrance, Amy had a couple of silver charms affixed to the base of her bouquet—a small “D” for her brother Daniel who passed away as a child, and a horse to remember her grandfather. 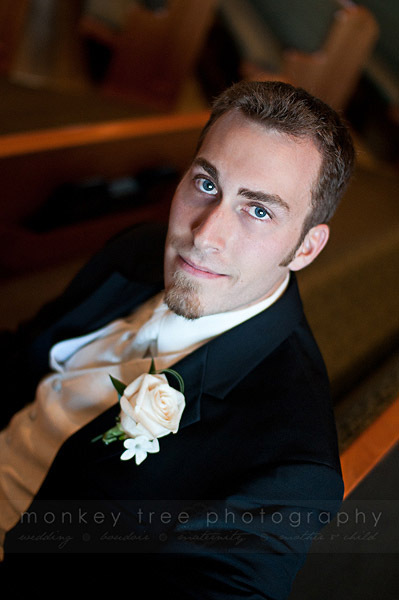 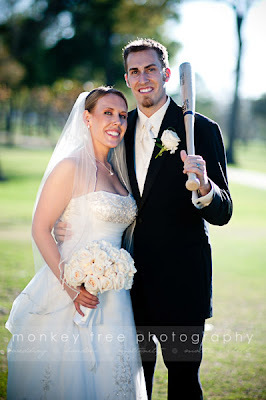 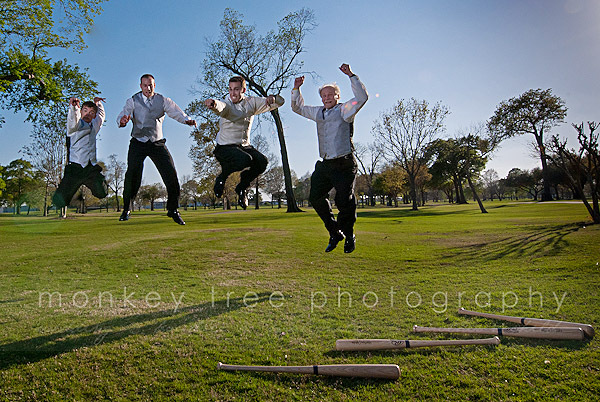 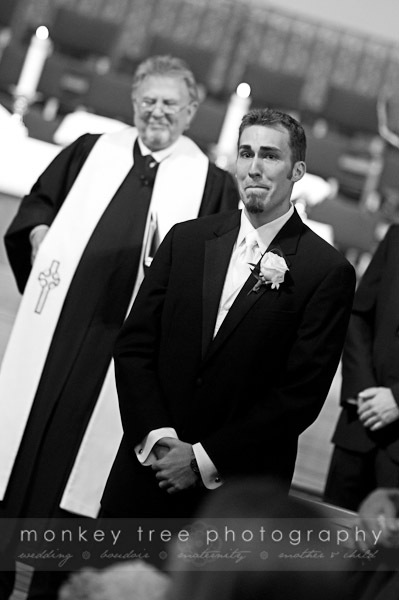 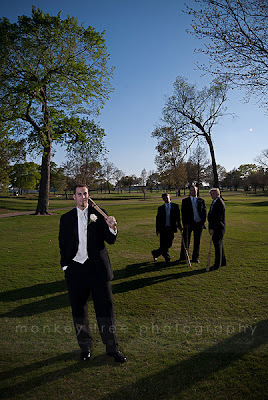 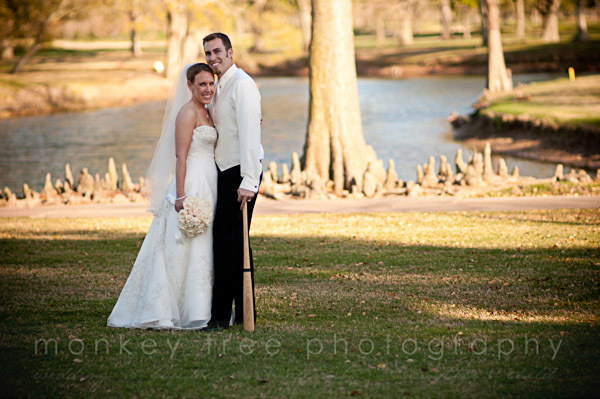 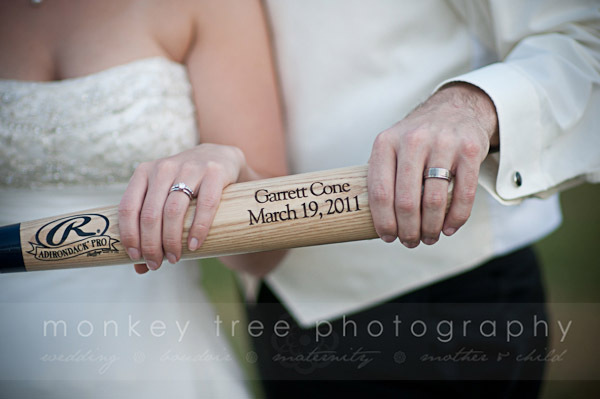 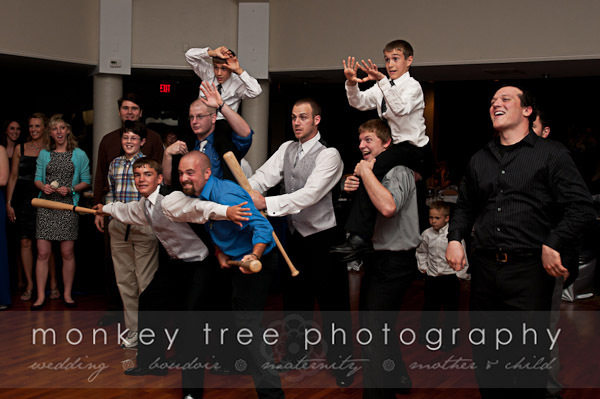 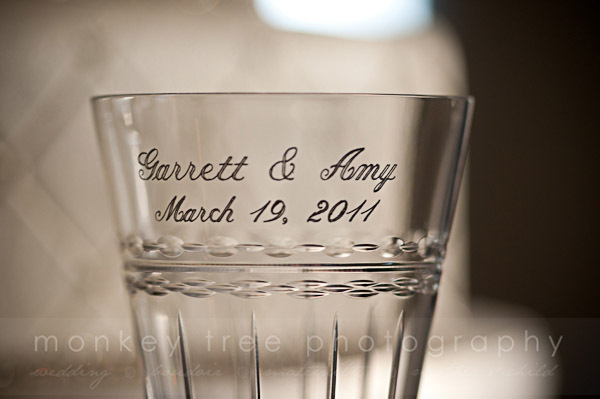 As a gift to each groomsman, Garrett presented engraved baseball bats, and had fun posing with them during formals… Amy even played along pretending to pitch her bouquet! 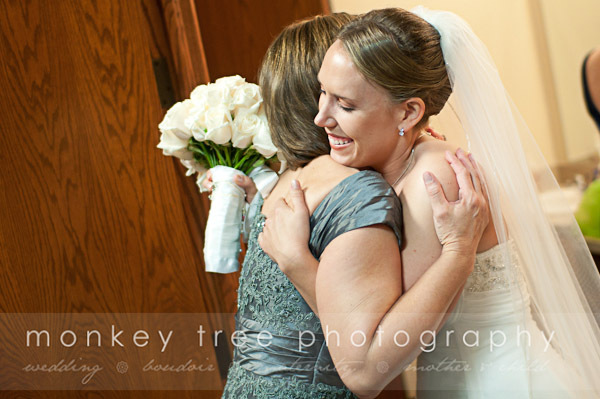 Lots of thanks to my cousin Lisa for sending Amy my way… it has been a pleasure working with both her family and Garrett’s.